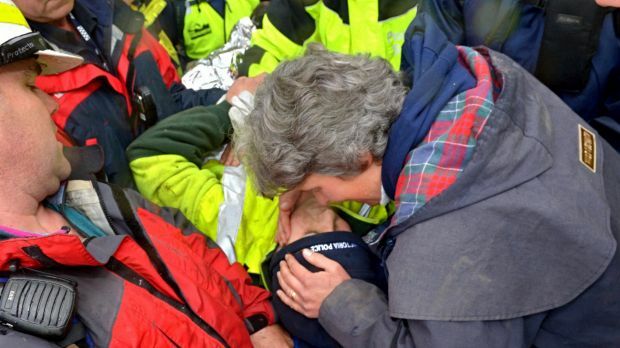 Luke Shambrook has had an emotional reunion with his parents after spending four nights lost in bush near Eildon, north-east of Melbourne. Luke, 11, who has autism, was found alive about midday on Tuesday after wandering off from his family's campsite at Candlebark campground on Good Friday. Police told reporters at the scene that Luke did not appear to be injured, although he was suffering hypothermia. 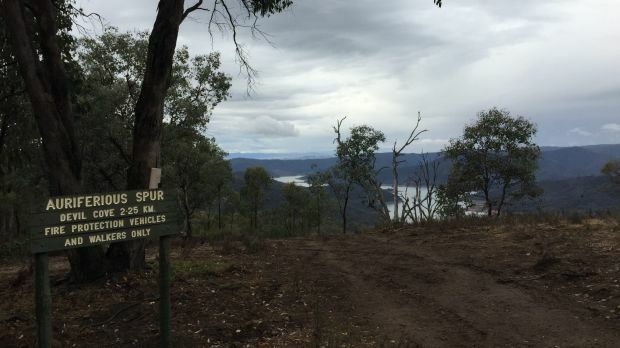 The boy was found on the south side of the peak of Auciferous Spur, 2.25 kilometres from Devil Cove, the bay of the lake near Candlebark campground. 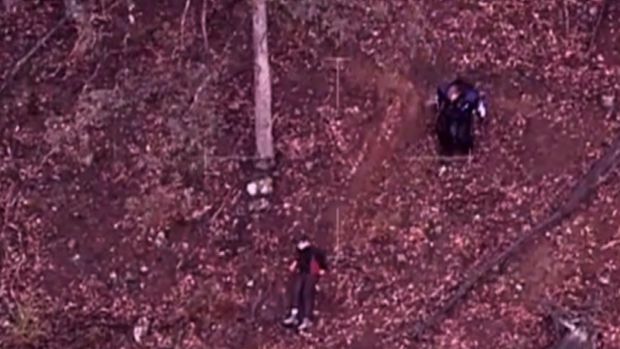 He was spotted sitting on the side of the hill by a police helicopter, not far from where his black beanie had been found in the area on Monday afternoon. Luke was carried out of the bush on a stretcher and wrapped in silver foil with a blue policeman's beanie on his head to be reunited with his smiling parents, Rachel and Tim. They kissed him as he held the hand of a police officer, before Rachel rested his head back on the stretcher. Luke's parents, Rachel and Tim, then got into an ambulance with their son, who was treated at a local hospital before being transferred to the Royal Children's Hospital. The moment Luke was found. A hospital spokeswoman said Luke was in a stable condition but was being closely monitored by medical staff on Tuesday evening. Acting Assistant Commissioner Easter Region Rick Nugent said Luke seemed to be well and described him as "one strong, courageous and determined young man". He said Luke had eaten part of a roll offered to him by his rescuers and was "one happy boy" after seeing his parents. "It really is a miracle, he's alive and well," he said. "We have some very happy volunteers, happy emergency services and it was really through their team work and cooperation and commitment that allowed us to find Luke." Acting Sergeant Brad Pascoe, who spotted Luke from the helicopter, said he saw a flash out the corner of his eye form the chopper. "It wasn't much but it was enough to make me get the guys to turn the aircraft around," he said. "We were just absolutely over the moon. 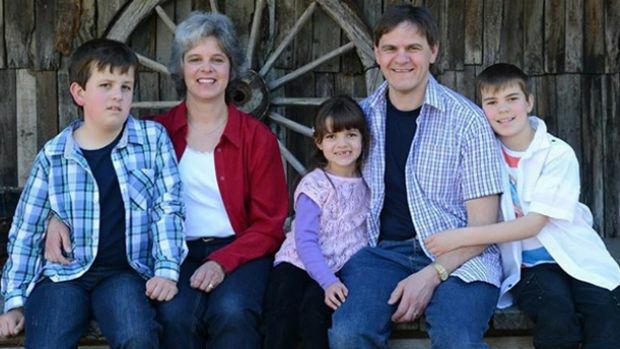 All of us in the crew are parents ourselves and we can only imagine what Luke's parents were going through." Bush Search and Rescue spokesman Frank Zgoznak said the search for Luke had been a remarkable effort from the community with volunteers streaming into the area to help find him over the Easter long weekend. He said finding Luke's beanie on Monday had buoyed the spirits of searchers. "It was an uplifting experience to find the hat yesterday, I think, you know, that made the difference to persuade us to persist looking for him a little bit longer and it paid off today in a big way," he said. Scott Patrick woke at 6am on Tuesday, took the day off work and drove to the search area from Broadford with his six-year-old son Nayte. His said his family had camped in the area for decades, and he had a four-wheel-drive with GPS and satellite phone. Mr Patrick said he had friends with autistic children, but would want the same help if his son or daughter was missing. "This could be anyone's child," he said. "I don't know if we can do much, but we've gotta try." Earlier, police had described the hunt for Luke as a "life and death struggle" as the search entered its fifth day on Tuesday. Mr Nugent said he would "hate to think" how much longer Luke could have survived as the weather took a turn for the worse. "I must admit early when I was driving around and having a look out of the car and into the countryside ... it's challenging," he said. "Everyone had hope, everyone stayed hopeful and everyone was committed that we're going to find Luke but the longer it went, the more challenging it is for us." Victoria Police confirmed that Luke had a "high pain threshold", and was described by his family as "resilient". They also said that he enjoyed hiding, so searchers were looking in any and all obscured spots. Mr Nugent confirmed that a helicopter had earlier flown over the area where Luke was eventually found but that cloud cover had hidden him. He said searchers were headed towards the area before he was sighted just before midday on Tuesday. "All too often we see tragedy and it's been a hell of an ordeal - four days - but to be able to give his parents the news that he's well and alive and he's been found ... is amazing," he said. The boy spent his fourth night in the wilderness on Monday, when the temperature dropped to 8.8 degrees. 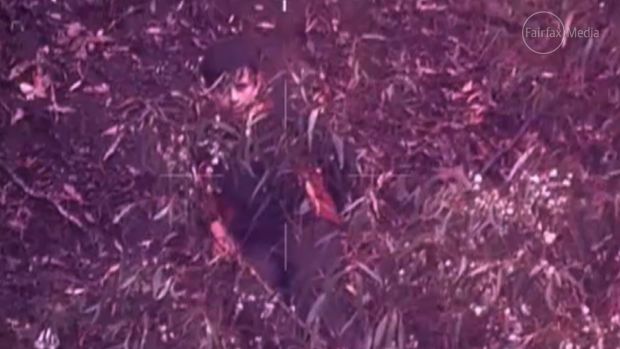 Luke Shambrook, who spent four days missing in bushland in north-east Victoria over the Easter weekend, is making good progress two weeks on from his ordeal, his parents say. 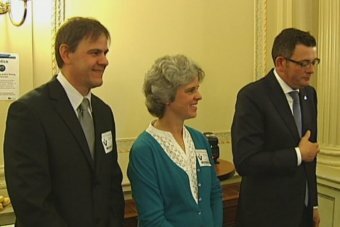 Rachel and Tim Shambrook were speaking at function at Victoria's Parliament House, to thank police, emergency service crews and volunteers involved in the search for their son. 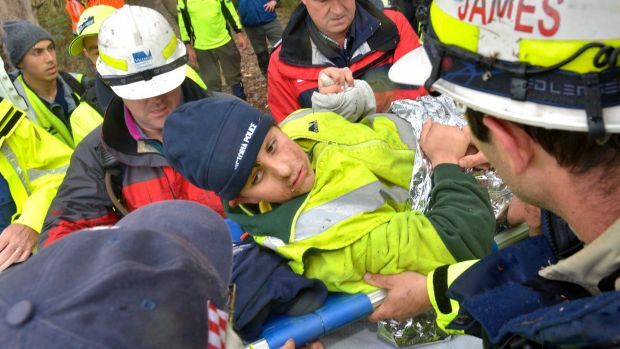 More than 100 people participated in the four-day rescue effort to find 11-year-old Luke, who disappeared from his campsite near Lake Eildon on Good Friday. The search ended on April 8, when a police helicopter spotted Luke, who is autistic, walking through bushland about three kilometres from where he went missing. The couple expressed their "deepest gratitude" to the rescue teams who searched for their son. Ms Shambrook said her family was overwhelmed by the efforts of those involved. "Your empathy, communication, management of the situation, and all your efforts were amazing. "We feel fortunate to have received the generous giving of your time, experience and expertise in that search and rescue, especially over a holiday weekend. "Whether you searched on one occasion, or the entire time, we thank you. "You showed the resilience that was needed, just like Luke did. You kept the hope alive and even shared in the personal nature of it all. "It is truly beyond words to describe how thankful we are." "We're very thankful to have Luke back with us, he's making good progress in his recovery." Luke did not attend the function. Premier Daniel Andrews praised those involved in the search. "We as ... politicians, often don't pause to say thankyou. We're not very good at thanking the people who do us proud," Mr Andrews said. "What we've got here today is a group of people from right across Victoria, right across our emergency services family, some who are career staff, some who volunteer their own time, in the most generous act, in the most community-minded act anyone can think of. "This was a very difficult search - four long days, four long nights. "[When] many of us who were not involved in that search, many of us getting on with our busy lives, had perhaps started fearing the worst, you kept going, you kept searching, you kept pushing yourself. "You didn't lose hope and you delivered such a precious and magnificent result."